It was a sunny summer morning in the Illawarra and I was welcomed into the home of this gorgeous family. I knocked on the door and the lovely Sandra greeted me with a “Hello, How are you going, it’s been a long time” I was blown away to see a friend from high school standing in front of me, someone I don’t think I had seen for nearly 20 year…(boy that makes me feel really old!). I didn’t recognise her name on the booking form as she has married the love of her life Neel. It was such an honour to be welcomed into their home to capture this very special chapter in their lives, the birth of their baby girl. The connection, love, all pure calmness I felt and witnesses was nothing short of BEAUTIFUL. This little babe is one lucky little girl to be apart of this family, It was great to catch up with Sandra, hear and what path our lives too after since high school and what path our lives too after. Here is what Sandra had to say. Thank you so much for all the beautiful photos you took. We are in love with them and will treasure them for many years. Thank you for making it a comfortable shoot for us all. We loved your style and the relaxed nature you brought to the shoot. We will definitely be seeing you again. Relaxed, calm, full of love and authenticity is my type of newborn session. If you would like a newborn session that is not “in the box” I would love to hear from you. You can contact me here. Meet Baby Wesley who is 3 weeks old. 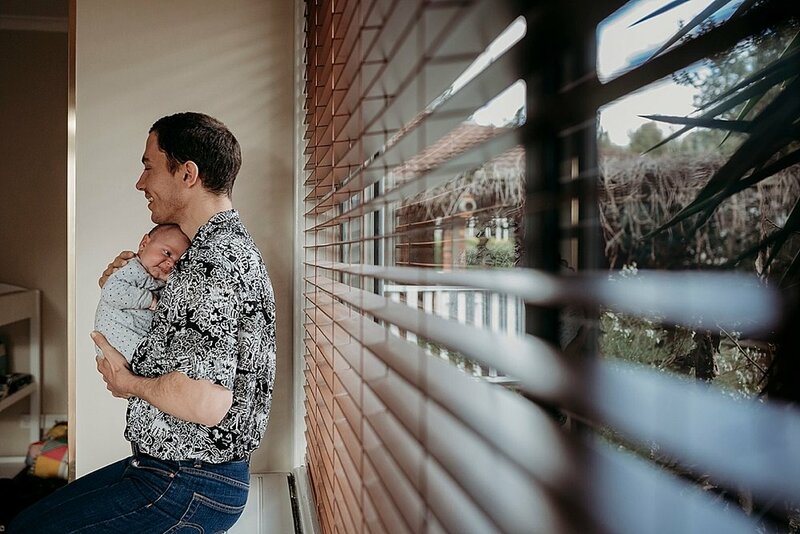 Alison and Xavier welcomed me into their home to photograph their precious new bundle of joy Wesley and their new family. When I arrived, Wesley was feeding and Alison just glowing with love and pride as she provided for her little boy. We sat and chatted about our lives getting to know each other while I captured some little moments of everyday life. Wesley has the most GORGEOUS Just want to squeeze cheeks I have ever seen. He loved been cuddled but not really kissed and just wanted to snuggle up with mum and dad and sleep. We also couldn't forget about capturing their fur baby and getting an all new family photo. I also love it when families include/have things in their session that have sentimental value. Wesley's stunning wicker bassinet was his father's and also his grandmother's bassinet! How special to be sleeping in the same bassinet your father and grandmother slept in as babies. Thank you Alison, Xavier and Wesley for welcoming me into your beautiful home and sharing this story with me. If you would like me to tell a part of your story, please get in touch here, I would love to chat with you. 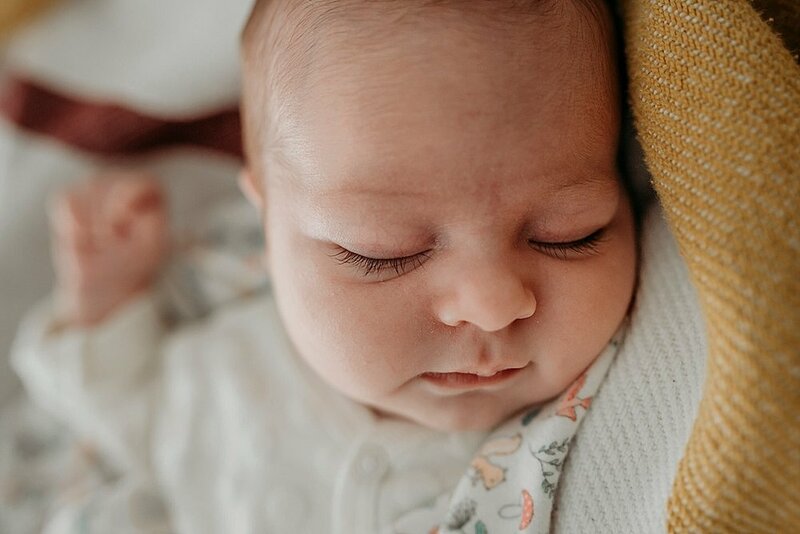 I honestly have no words for this amazing in-home newborn session. These are our amazing friends that we class as our family and I am so blessed to have captured all three of their precious children, both in Hayley’s tummy and when they have arrived earth side. It was so heart warming to be able to capture their complete family in their forever dream home. If you want to see Hayley’s maternity session click here. If you would like to have a chat about a newborn or famiily session with me I would love to! Contact me here. Life is full, it has so many up's and down's, but bringing a new baby into the world is definitely one of those up's. It is a new chapter in your family story, it is beautiful, surreal, challenging and simply amazing. There are so many emotions when you are planning or find out you are pregnant, excitement, sheer terror, doubt, confidence, excitement again...it's a rollercoaster, just like life. You start asking yourself, Are we ready? Is now the right time? Can we afford this? Will we be able to give our child the best life? Will I be a good Mum or Dad? 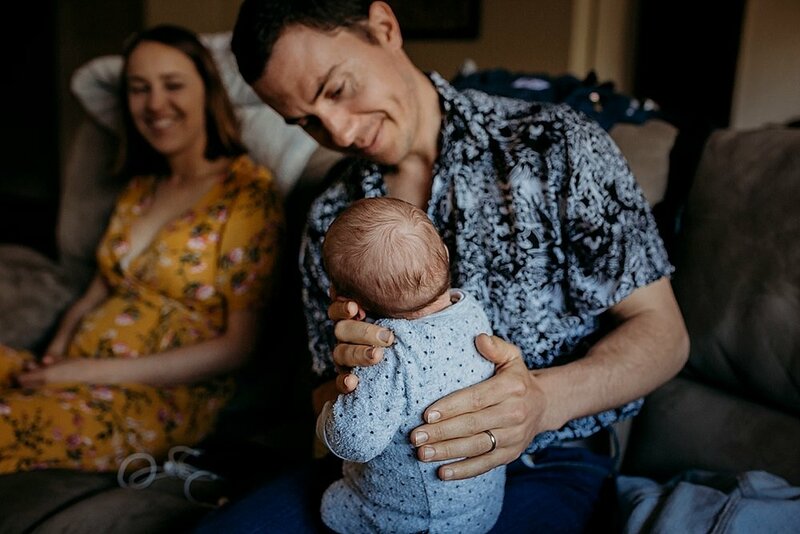 Nothing can prepare you for welcoming your first child into your lives, but I can promise you, you will never feel love like you do when you have a child, you will wonder why life felt so full before you had a baby (and what you did with all your time) and you will never, ever regret it. The Rogers family, you may remember from their maternity session a little while back, you can see that here. 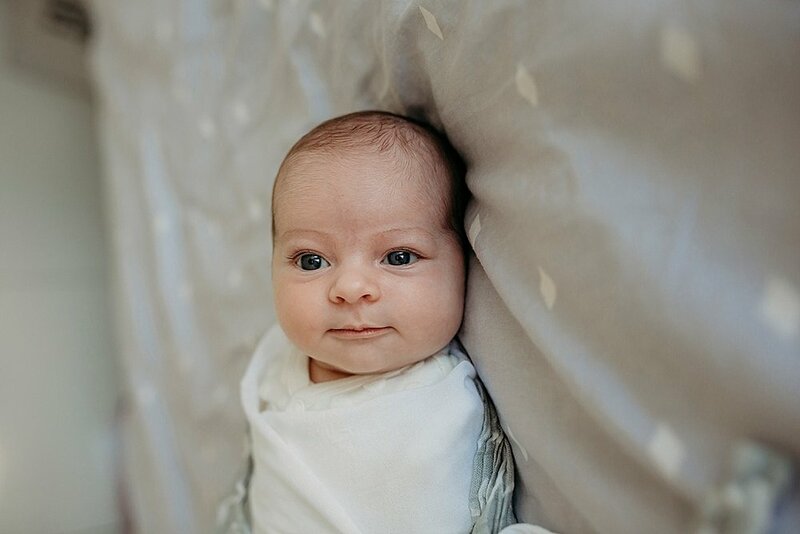 They welcomed baby Olivia into the world in late May and we did her Newborn session when she was 3 weeks old and she was a pure joy. 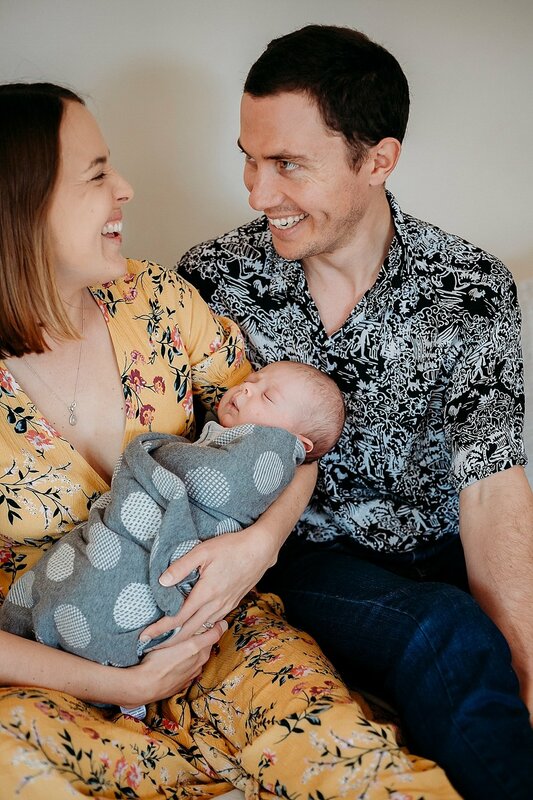 Elise and Matt are so cool and calm and absolutely smitten with their precious baby girl. We relaxed around their home, shared stories about birth, childhood, parenthood and giggled at the little facials and sounds Olivia was giving us. It was a true honour and pleasure to witness and capture this new chapter for this gorgeous little family. If you are having a baby soon, I would love to chat to you about capturing this very special time. You can contact me here. 3 years ago I photographed my second wedding, it was the wedding of Nat and Chirs. A fun loving couple that were (and still are) so comfortable with each other and knew what they wanted from life together. One of those dreams was a child of their own and finally, after much longing, a couple of weeks out from their 3rd wedding anniversary, Master Henry arrived. I am beyond happy for this little family and so blessed that they asked me to capture this next chapter in their lives, their newborn images. When I arrived at their home, pride was beaming out of them and you can see the pride, love and joy in these images. 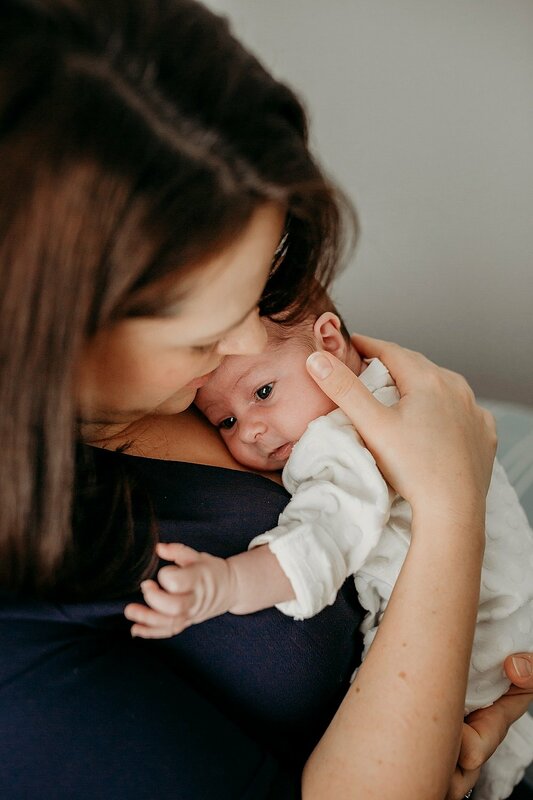 I simply love being able to document so many moments for families and am truly honoured as a newborn and family photographer that clients continue to trust me with these precious memories. Thank you Nat, Chris and Henry for a wonderful morning, cuddles and the honour of documenting this chapter for you. 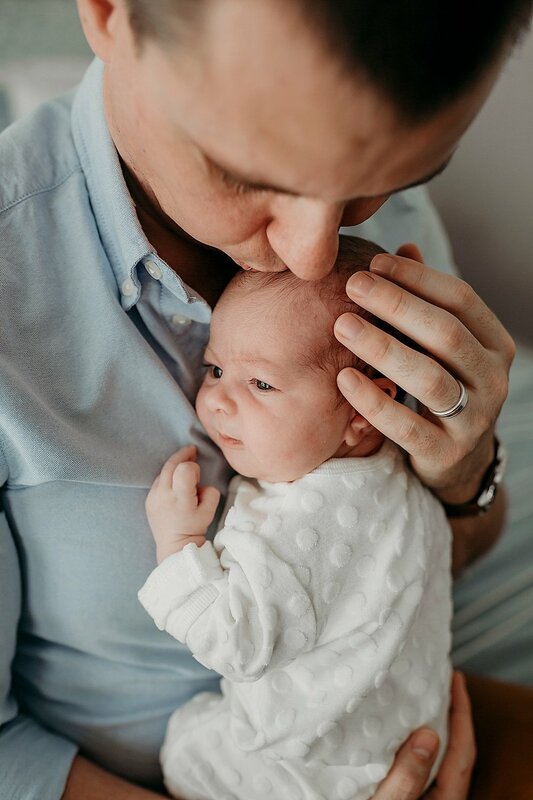 If you would like to have your family or newborn memories captured through natural and relaxed photography, I would love to chat with you, you can contact me here. Newborn sessions capture those life changing chapters in a family's story. If you think about it, our lives are story books, with each moment or adventure adding a chapter and those everyday mundane moments are the beautifully written paragraphs in those chapters. 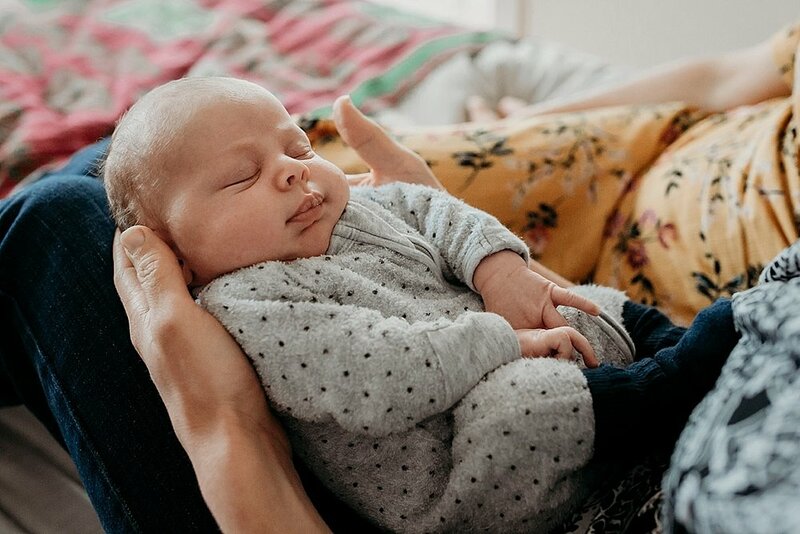 In home newborn sessions create a chapter through images, they capture the home where you first bought your child home to, the place where many first happen, the place where you bond and will watch them grow. It is the place you will never forget and will always be connected to because of what small moments happen there. 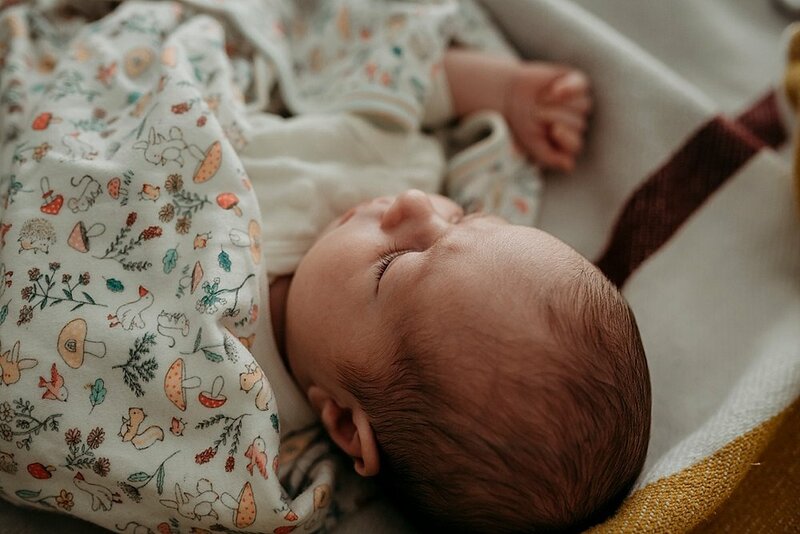 Having your newborn images in your homes creates a tangible memory of these moments, one day that might be all that is left. Relaxed, love filling newborn images that are real are what I strive to give families for their stories. Contact me here if you would like to chat about how I can create images like this for you.